OMG finally! Yuma has a page! - Tomo ni FLY HIGH! OMG finally! Yuma has a page! Today I woke up to amazing news. 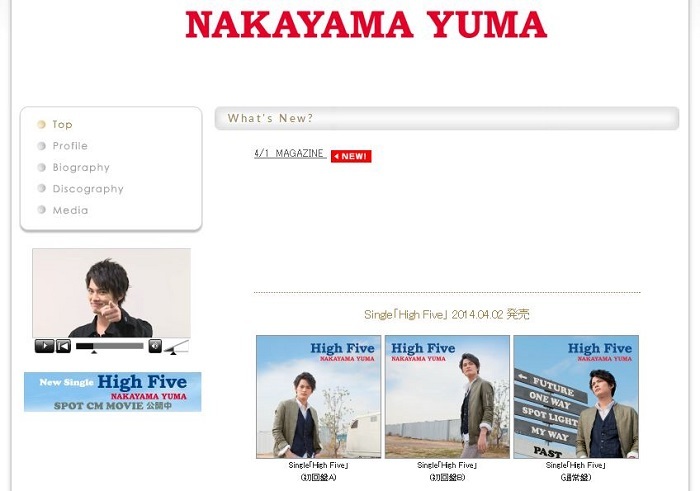 Yuma has got his own profile page on the Johnny's Net website! Omg, I've been waiting for this moment for soooo long. Waited and waited, and ever since he released his first solo single in 2012 I've been complaining for friends as well. With all the things he does - singles, dramas, butai, tv shows - I've felt that he deserves his own profile page. And now he has one! I can't explain in writing all the feelings I have inside me right now! Go check it out! Doesn't it look amazing? And tomorrow his second solo single High Five is released. My copies were shipped yesterday - can't wait until they arrive!